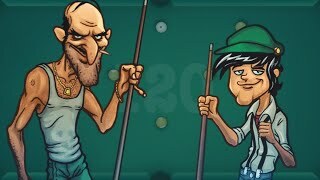 Put your accuracy to test and become the best pool player in the world! Put the green discs inside the pockets and save the yellow one for the last! Put as many balls as you can in the pockets in as little time as possible! Grab the stick, think fast and follow the stars! Aim for a high score!